Home › Methadone Maintenance Treatment Resources › What is Methadone Maintenance Treatment & Why Should I Choose MMT? According to the Centers for Disease Control, opiate abuse is rapidly becoming an epidemic in the United States. Many people addicted to opiates are addicted to prescription painkillers while others are self-medicating with drugs like heroin. Methadone maintenance treatment or MMT is a popular treatment for those who are addicted to opiates or opioid drugs. Methadone maintenance works as a replacement for opiates. Methadone maintenance treatment is a type of addiction and chronic pain treatment that uses methadone as a replacement for the opiates. It involves long term use of methadone along with counseling, medical services, and other psychosocial treatments. the drug maintenance – a doctor should evaluate you and make certain that your maintenance program is right for you. You should have regular visits with the doctor to make sure that you are tolerating the methadone well and you are not having issues with it. counseling – the counseling should be designed to find the cause of the addiction as well as help you deal with the aftermath of it. Psychologists and therapists help you with all of your psychological and emotional issues associated with your drug use. retraining – MMT teaches you how to live without the opiate or other drugs. Being addicted to an opiate consumes your life. In MMT you will learn how to take back the things that you enjoy without using the opiate. These parts might vary depending on the type and style of MMT that you choose. Methadone maintenance treatment can be designed around your needs and circumstances. That is part of why it works so well for treating opiate symptoms. Who is a Candidate for Methadone Maintenance? although there are exceptions, you have to be 18 years old or older to receive methadone. Doctors may make exceptions for people under 18 if the addiction or chronic pain is severe enough and other methods of detox have not worked. if your opiate use is out of control and you need a solution for both chronic pain and the drug addiction. These are only a few of the criteria doctors use to decide who is a good candidate for methadone maintenance treatment. Most people who are severely addicted are candidates. You no longer have to worry about being caught with illegal opiates. There are many other reasons to try methadone maintenance therapy but those reasons are your own. Each person has their own reasons for wanting to quit opiates. Like all things, there is a negative side to MMT. Methadone itself is addictive. Some people have a hard time tapering off methadone because of this. Although the addiction is not quite as severe as most opiates or opioids, it still produces similar symptoms. Many people choose other forms of treatment such as Suboxone because of this. Unfortunately, Suboxone does not work for some people. Although negative aspect of methadone therapy is that, you can overdose on methadone. 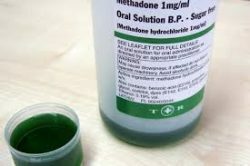 Methadone overdose is relatively common in people who abuse methadone, but when you stick to the regiment that the doctor prescribed, there is virtually no risk. Instead of asking why choose MMT, you should ask why not. According to the National Institute on Drug Abuse, millions of people are addiction to prescription and nonprescription opiates. For more information about Methadone Maintenance Treatment, call us at 1-800-530-0431. We can help you overcome your opiate addiction. The hard part is over, get help now.